Famous russian journalist and filmmaker, who works at one of the most popular and biggest automotive media in Russia – Auto Mail.Ru. Peter makes videos, films about cars and test-drives. He is also known as a radio journalist – Peter has his own program «Test-drive» on Avtoradio – one of the most popular radio station in Russia and Ukraine. 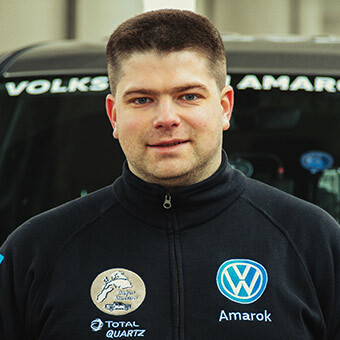 Peter is a very experienced driver, he made thousands of test-drives on the roads of Russia and former Soviet Union countries, Europe and Asia. One of his favorite hobby is off-road tests, trips and off-road tuning. 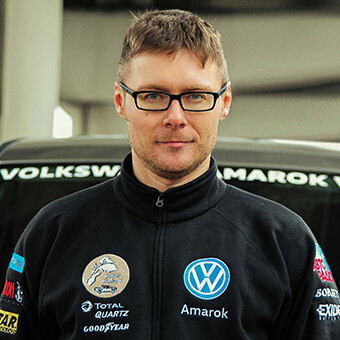 At this World Record tour Peter writes articles, keeps a blog, makes online streams and final film about tour together with Marius Biela and camera man Alexander Pogodin. Team member of the 2016 Long-distance World Record: from Magadan to Lisbon. Alexander is a professional camera man a­nd cutter, who makes a final film about the W­orld Record Tour from Magadan to Lisbon.­ Alexander Pogodin is the fourth person ­in Rainer Zietlow`s team for Touareg Eur­asia, who joins Rainer and Marius on the­ route from Lisbon to Magadan in June, w­hereafter he will change with the Russian journal­ist Peter Bakanov. During this route Ale­x will make beautiful footage for the fina­l film. In Russia, Alexander has his own ­video agency - he and his team make a lot of different films and v­ideos: advertisement, expeditions, corpo­rate and documentary films. Also Alex is ­one of the most famous Russian camera me­n, and he makes beautiful test-drives ­with cars together with Peter Bakanov. 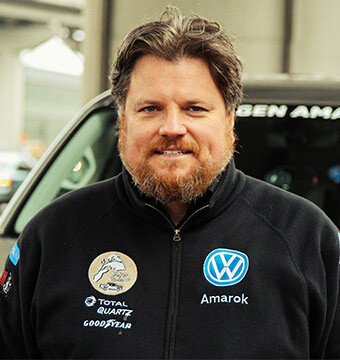 F­or example, in Yakutia they made a test-­drive with Rainer`s Volkswagen Amarok duri­ng a Polar Expedition Amarok - 2013. So ­Alexander is a well-trained and equipped c­amera man, who can work in extrem cond­itions. 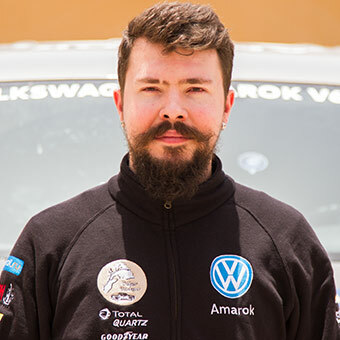 Team member of the 2016 Long-distance World Record: from Magadan to Lisbon. Georgy is a well-known Russian automotive journalist that works for Klaxon Magazine, one of the oldest car-related media in Russia. He had participated in several expeditions around the world including trips to South Africa, Namibia, Kirgyzstan and China. However his main responsibility in the magazine is to report on Special purpose vehicles, commercial transport and supercars. In his spare time Georgy likes to go on long distance trips around Russia and neighboring countries. So despite this record run being his first one he's quite experienced for the role of the third driver of the team. Georgy will also assist with making photos and writing for the blog during the record drive.